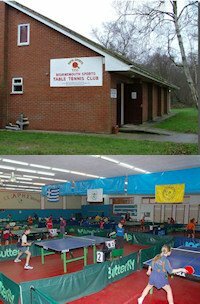 VMTD is the first veteran table tennis club established in Istanbul, Turkiye in 1993. Ornek mah. Ercument Batanay sok. We have more than 500 registered members, of which about 150 are active players. We have 6 tables for competitions and 4 tables for training, one has the robot. Our building has the facilities for comfort of the players before and after the matches. During the week we are open for 16:30 - 22:00, at weekends 10:00 - 20:00. We are open for all kinds of players, members or non-members. Daily fee of about 5 EU is asked from non-members. Members have more benefits on fees. We have trainers for all ages, including children under 12. From time to time we are organizing open tournaments for children also. Our playground has heating and cooling facilities which makes playing comfortable. Wood coated floor and 3.5 metres ceiling height with uniformly distributed lighting makes playing easy. 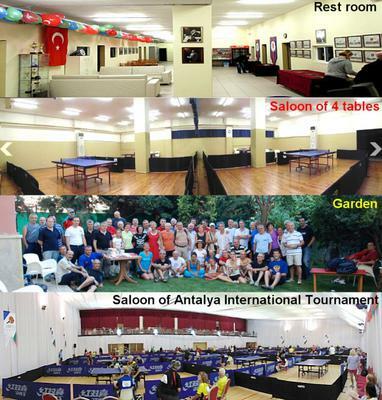 We have more than 10 local open and international tournaments within a year, most of which are annual. The greatest is the Antalya International Tournament in which more than 300 players from more than 20 countries play. In 2014 we will perform the 20th of it. One other, outside our building is the Sile Tournament. We have 2 singles leagues, 2 team leagues, 1 team tournament and 8 national holiday tournaments annually. 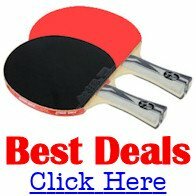 We have two men's and one women's teams playing in Turkish TT League. Most of the players in our teams are our veterans. Every 2 years the 9 main and 4 spare members of the board of directors are selected by the members. There is no owner of our club. The games and the conversations go on in friendly basis, almost no arguments. Everyone who wants to play with us are welcome.